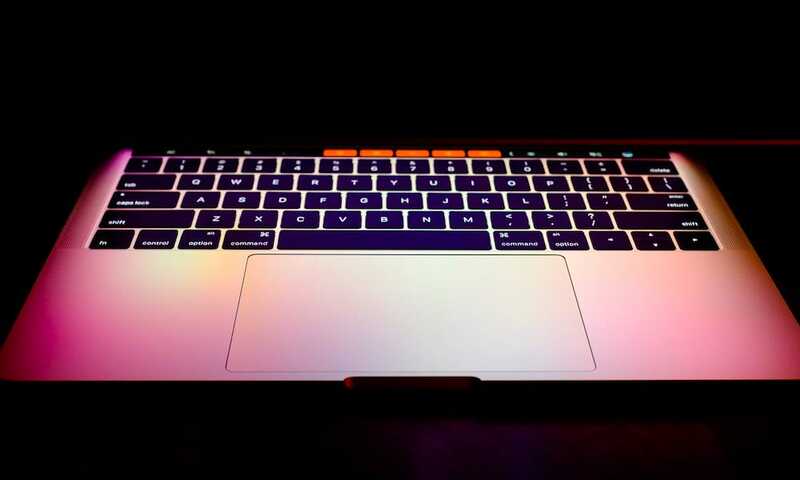 When Apple introduced its ultra-slim 12-inch MacBook in the spring of 2015, the company introduced along with it an entirely new keyboard design known as a ‘butterfly’ keyboard. The updated design is not only meant to accommodate the MacBook’s 40% thinner form-factor, but replaces the venerable scissor design as showcased in the image below in Apple’s 2015/2016 MacBook, and 2016/2017 MacBook Pro.While it appears to be a novel and innovative way of slimming down the machine and allowing for more even pressure distribution when the keys themselves are tapped; the new keyboard design’s reduced thickness has likewise reduced the key travel, which has in turn resulted in accusations that even small particles of dust caught underneath the keys can prevent them from functioning, or even getting stuck entirely. More unfortunate, is that issue has apparently become so widespread that a growing petition over on Change.org is asking Apple to initiate an all-out recall and keyboard redesign of MacBook models released in 2016 or later. Filed by Matthew Taylor, the petition has as of Thursday morning garnered 750 signatures from people who are apparently just as displeased with the new MacBook butterfly keyboard design. Taylor, an author who exclusively uses Mac computers to write his literary works, asserts this his keyboard woes first began when he purchased a 2016 MacBook Pro featuring the butterfly keyboard design. “I purchased this MacBook Pro in [December] 2016, and less than a year later the L key became intermittent and unreliable,” Taylor explained to Cult of Mac. “I took it into an Apple store and the genius bar replaced the L key in late 2017. That replacement L key failed within a month, and *then* the right-side Shift key became similarly intermittent and unreliable” earlier this year. Apparently, Taylor is not alone in his struggle, as the Change.org petition he launched has not only garnered hundreds of signatures from disgruntled MacBook users, but some of them have even spoken out on social media echoing his sentiments. “Lots of problems with new MacBook keys stuck down. Based on people near me, the apparent solution is to bang persistently on the keyboard,” said Twitter user Zach Perret. Another Twitter user, Marco Arment, Tweeted that “Lots of keys now getting sticky and unreliable on my two-month-old MacBook Pro,” noting that he’s personally owned more than 10 Mac laptops over the years and that this is his first keyboard problem to date. Meanwhile, a basic Google search for “MacBook keyboard problems” turns up dozens of additional complaints from users around the web, and the problem has in fact become so prevalent that a recent study conducted by AppleInsider revealed that Apple’s new butterfly keyboard requires service up to twice as often as other keyboards in its class. Even the well-known Apple enthusiast, John Gruber, recently weighed in on the problem, saying in a post to his Daring Fireball blog that the issue indicates a “systemic failure” of Cupertino’s original vision. “I find these keyboards — specifically, the tales of woe about keys getting stuck or ceasing to work properly — a deeply worrisome sign of Apple’s priorities today,” Gruber wrote. Apple has at least acknowledged the issue some may be experiencing with their 2015 MacBooks and 2016 or later MacBook Pros. The company has even published an official support document on its website outlining steps to both rectify and evade complications. While the company goes on to outline other key steps to fix the issue, apparently these methods do not rectify the matter entirely, according to some complaints. Still, the presence of a support document is at least proof that Apple is aware and doing its best to help affected users. Taylor, however, wants the company to do even more — arguably much more than is feasible, in fact. Of course, what Taylor is asking for may be fundamentally impossible, especially considering how Apple already redesigned the MacBook keyboard and that it’s already implemented into tens-of-thousands of machines around the world. Not only that, but according to Kyle Wiens, of iFixIt, the prospect would be incredibly expensive and complex given that the MacBook’s keyboard is no longer a stand-alone component. Outright replacing it would require “exchanging a large section of the computer,” including the touchpad, speakers and even the battery. Still, Taylor remains adamant that a full-throated recall is simply the right and only thing to do.